Registrations for this event have closed! We encourage you to join us at the next event, “Gears on the Gridiron” on October 1, Capital One Field, Maryland Stadium! We invite high school teachers and mentors to participate in the North American Kickoff Workshop for the RoboCupRescue Rapidly Manufactured Robot League (RMRL) and Open Academic Robot Kit (OARKit). These are a new robotics challenge and open robotics initiative for high school and college students. Attendees depart with all the information that they need to start a successful team. They may bring parts and receive assistance in assembling and programming their own OARKit robot. This event will be recorded and made available online. Depending on interest, we will also allow remote attendees to join us via WebEx. This event aims to achieve the following outcomes. Disseminate the aims of the RMRL and OARKit. Refine the rules under which the RMRL will be administered. Further develop materials (instructions, etc.) for the OARKit. Set the date (early-mid December) and location (Washington DC or New York) of the initial competition. Develop materials for further dissemination at the Gears on the Gridiron Manufacturing Day event. 1:00 pm: Introduction to the test method process and RoboCupRescue, tour of the facility. 2:00 pm: Introduction to the Rapidly Manufactured Robot League and the Open Academic Robot Kit. 4:00 pm: Rules Q&A and Discussion. 6:00 pm: Dinner (off campus). 8:30 am: Arrival and refreshments. 9:00 am: Constructing the Open Academic Robot Kit. 10:30 am: Programming the Open Academic Robot Kit. 11:30 am: Q&A and Discussion. 12:30 pm: Lunch (off campus). 1:30 pm: End of Workshop. All attendees must register by the 12th of September. 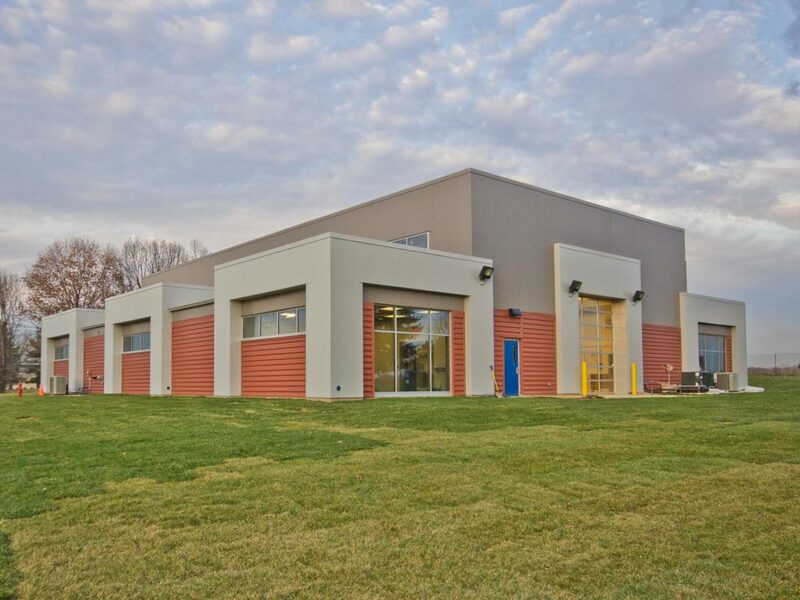 As NIST is a secured US Federal Government facility, there will be no late or on-site registrations. Unfortunately, due to after hours access restrictions, only US Citizens and Permanent Residents may attend. If you are unable to attend but are interested in joining us online via WebEx please contact us at info@oarkit.org . There is no charge for registration. Dinner and lunch will be held at a nearby restaurant. Instructions regarding purchasing parts will be made available shortly. Full name according to your Real ID compliant government issued ID. Note that drivers licenses from certain states are not Real ID compliant. Please bring your ID with you when you check in at the main entrance. Phone number and preferred email address (if not the one you’re sending from). 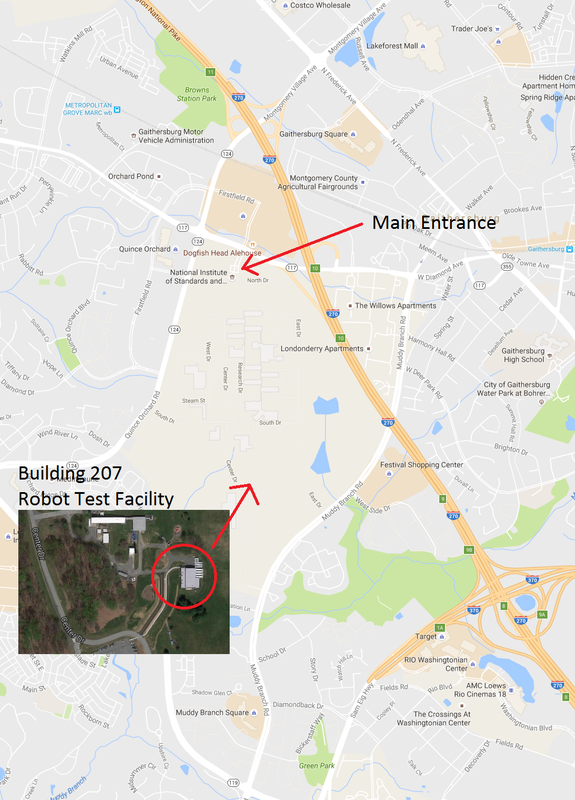 The workshop will be held at Building 207, Robot Test Facility, on the NIST Gaithersburg campus. During the weekend, only the Main Entrance, on the Northern side of the campus, will be accessible. Note that the official address, “100 Bureau Drive”, can confuse some GPS units. See below for a map of the exact location. There is ample parking for those arriving by car. If you anticipate being dropped off (including by taxi/Uber) please email us beforehand so we can come and collect you. 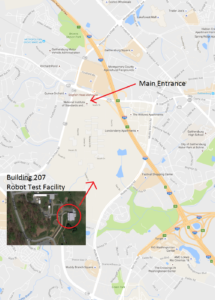 There are several hotels in the vicinity of the NIST Gaithersburg campus at various price points. We recommend searching on sites such as booking.com for hotels near “Gaithersburg, Maryland”.